The new Cemetery lies a mile outside the village on the road to Fettercairn. 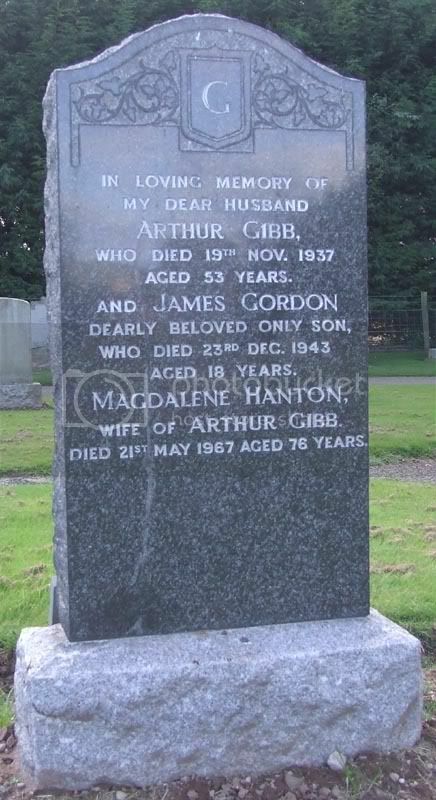 Additional information: Son of Arthur and Magdalene A. Gibb, of Brechin, Angus. Grave/Memorial Reference: Sec. C. Lair 106. 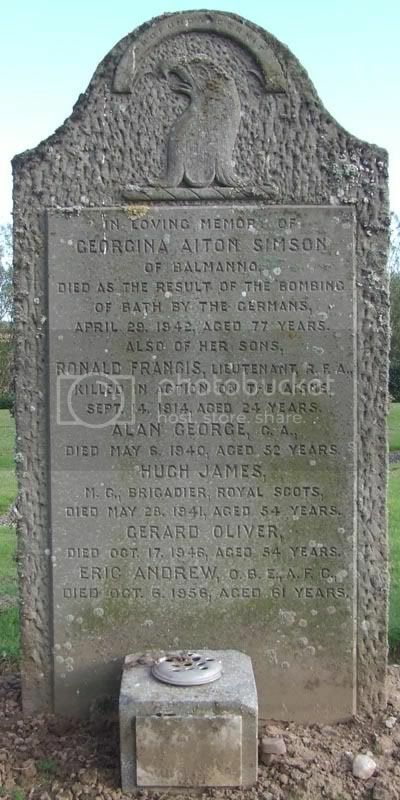 Additional information: Son of John and Mary Robertson, of Marykirk. Grave/Memorial Reference: Sec. A. Grave 45. Secondary Unit Text: attd. 153rd Trench Mortar Bty. 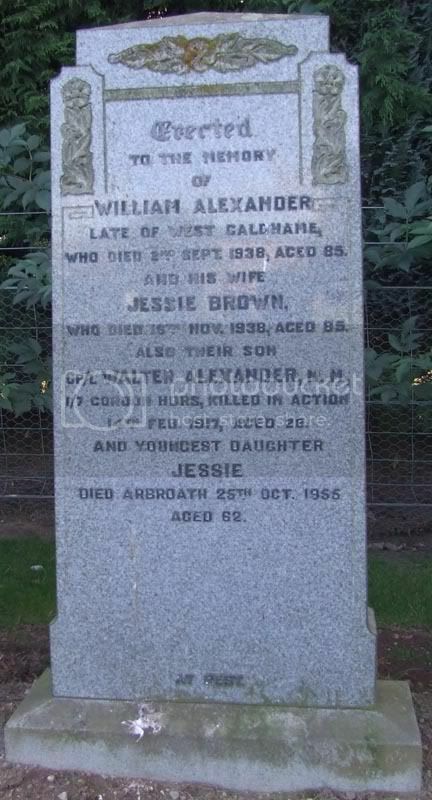 Additional information: Son of William and Jessie Alexander, of West Caldham, Marykirk, Kincardineshire. Grave/Memorial Reference: III. D. 5. 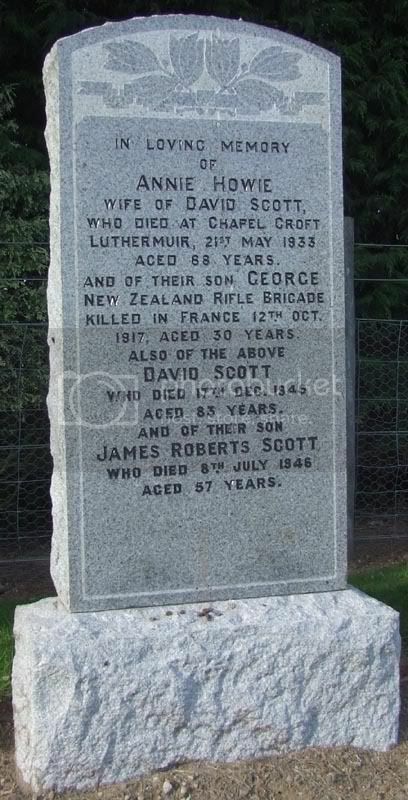 Additional information: Son of Mr. and Mrs. David Scott, of Chapel Croft, Luthermuir, Laurencekirk, Scotland. Grave/Memorial Reference: XVI. C. 23. Unit Text: 16th Bty. 116th Bde. Additional information: Son of Mr. D. J. and Mrs. I. A. Simson, of 68, Burton Crescent, Chelsea, London. Native of Edinburgh. Scottish Rugby International.